Tesla and other companies working on electric vehicles have billed private ownership of EVs as vital for a society which is not dependent on fossil fuels. But, others like Renault seem to be aware that the key to the success of electric vehicles lies in the development of public transport solutions, especially for countries such as India and China that are vying to be among the superpowers of the future. 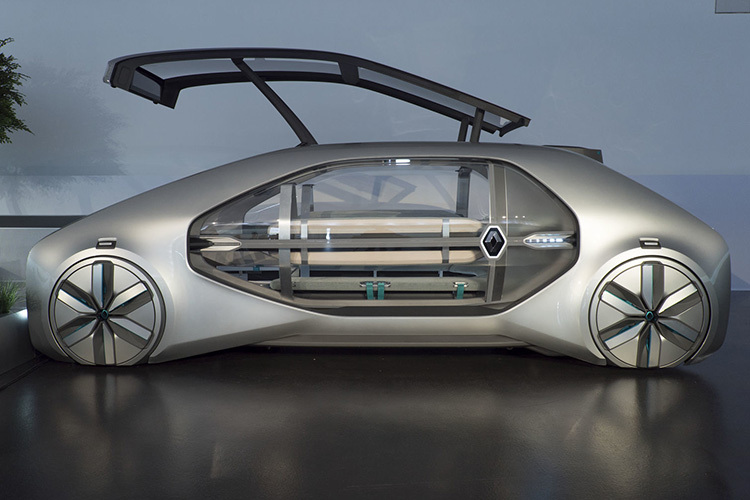 To make its point, Renault revealed its concept of an autonomous electric car, the EZ-GO at the Geneva Motor Show. 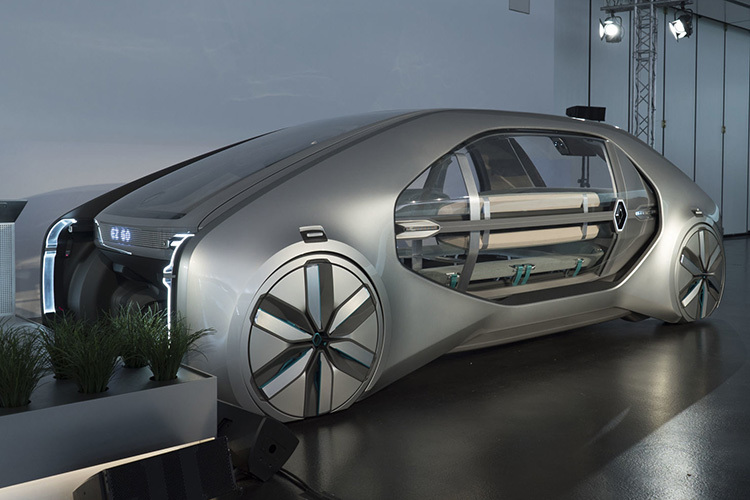 The concept car is designed to shuttle six passengers across an urban setting and has a top speed of 48 kmph (30 mph). 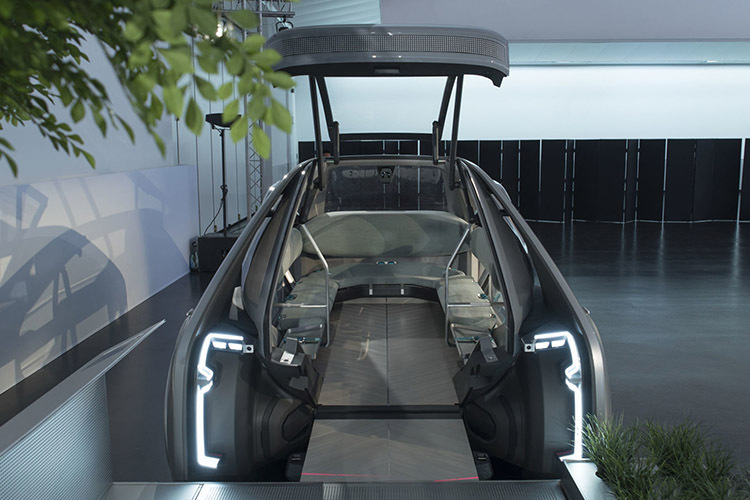 The EZ-GO concept uses glass in large quantity, allowing riders to look outside the vehicle. The EZ-GO is packed with self-driving tech including LiDAR, radar, ultrasound, and non-intrusive cameras which are placed within a tiny antenna on the spoiler at the back. It has a big glass door on one side which will allow riders to walk in and out of the self-driving vehicle. Renault also proposes that it will allow the car – possibly a network of similar cars – to be controlled remotely by humans. At the same time, the car is equipped with technology that identifies internal shortcomings and chooses routes and lanes according to the traffic. Renault suggests that to board one of the EZ-GO shuttles, one will need an app similar to Uber or reach specific points or stations. It comprises a U-shaped seating pattern and the door opens wide enough to allow passengers walk in or out without bumping their heads on the roof. The futuristic-yet-thoughtful design will also allow those with baby strollers and wheelchairs to easily hitch rides. The U-shaped seats are also designed keeping privacy and security of passengers in mind. Renault intends to sell these vehicles only to civic bodies and transport corporations of smart cities and plans to release the EZ-GO in 2022.